“We want the ingredients that sometimes be forgotten like fruits and vegetables to come back alive” said Johyandi & Feny, the dynamic couple as well as the juice evangelists behind Grab Juice. Less than a year ago, Johyandi and Feny (23), the owner of Grab Juice, wanted to experiment the idea of a socially-conscious business that would push the boundaries of the Indonesian market. Then, come an idea of cold-pressed, organic juice and instead of sending resume, both graduands from Tarumanegara University in Jakarta, decided to build their own brand together. Juice has evolved over the years. From juice concentrates to different colored juice boxes, they could drive you into a sugar coma and had little place in a healthy diet. Fast forward to today and fresh pressed juice bars are popping up in Jakarta. The latest trend is cold pressed juices: lower in sugar, nutrient rich and often made from organic ingredients. Grab Juice has been a hit since the late of 2014, when they produces around more than hundred bottles a day. The purpose of it is to introduce and awakens up people’s mind towards fruit and vegetables. That is when the name Grab Juice came up by the continuation of Grab and Go! “Healthy lifestyle should be a part of every individual lifestyle. I want to change people habits whom tend to choose junk food over the healthy ones despite their packed schedule. 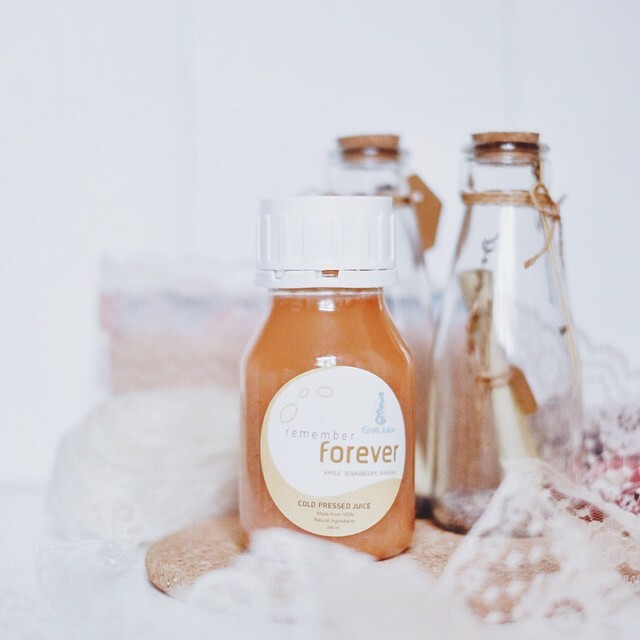 Hence, my boyfriend and I both came up with this idea to serve cold pressing juice, without losing the benefit of the first prior healthy ingredients”, says Feny. Just as carrying a Starbucks coffee cup, a bottle mixed of vegetable and fruits has become an Instagram accessory now. In Indonesia, more consumers are now drinking juice as a meal replacement and quick infusion of vegetables. Although Grab Juice is still a new business, but they are already popular in the market business. endorsement system with @anakjajan, etc. 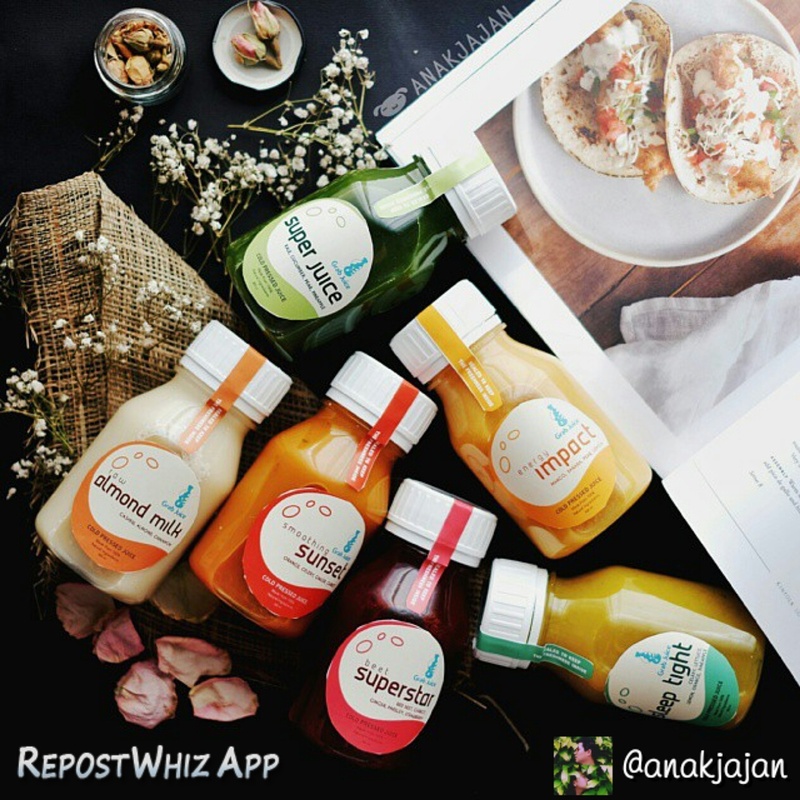 Grab Juice is not the first pressed juice company nor product in Jakarta, but they are definitely stand out from any cold pressed juice brand out there. 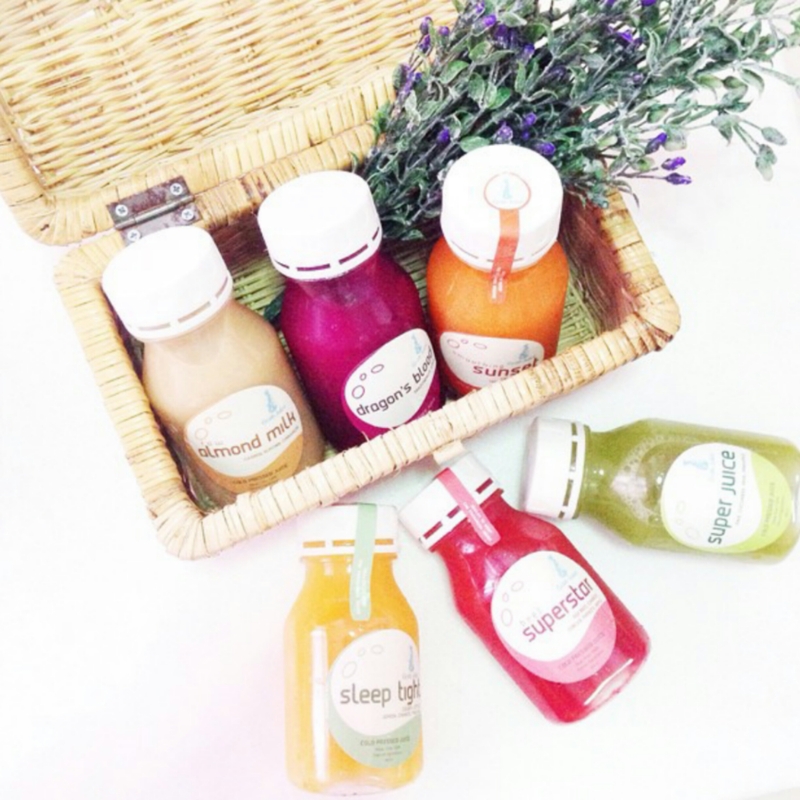 Without any pasteurization, sugar, water and coloring into their juices, Feny also added that she want to support the usage of organic vegetables and fruits from local farmers in Indonesia. How did they stand strong in the market? The answer to that is how they make use of social media marketing, especially Instagram. With the growing health issues that face the population, cleansing is one approach to the answer and with Instagram, Johyandi and Feny believe that it can help them reach wider audiences. Other than that, Grab Juice also did an offline marketing like joining a monthly bazaar and mouth-to-mouth marketing. Spotted on their Instagram account @grabjuice, they also did an endorsement to popular bloggers (fashion, beauty and food bloggers) to get more engagement towards their products. Johyandi and Feny adds that it took a great deal of trial and error to reach this stage, but that is their motto of life which is to never give up and keep trying till you make it. As the business grows, Johyandi and Feny hopes that Grab Juice can look into option to scale up their business. For now, they are happy with the growth they are experiencing from month to month by both online and offline sales. We wish you both success, always and oh, one more thing , they will be coming to Gandaria City with their fantastic juice euphoria at 9 – 11 October 2015! Make sure to taste their fresh juice! Want to Feature Your Business In Our Site? Drop Your Email Below! I read this article and found it very interesting, thought it might be something for you. The article is called The New Revolutionary of Juice: Grab Juice and is located at http://www.digitalnoobs.com/blog/the-new-revolutionary-of-juice-grab-juice/.